Sarah Bridgeman is a woman trying to figure out life as she knows it, from her relationship with her two cats, to the populous of the local gym and the strangers making a change in their lives. She can only do this on stage whilst making people laugh. She uses observational comedy stories with some whimsy thrown in for good measure. Has a friendly laconic style, an ideal booking for opening and middle 20"s and MC. A regular to the South Wales comedy circuit, performing regularly since 2009. 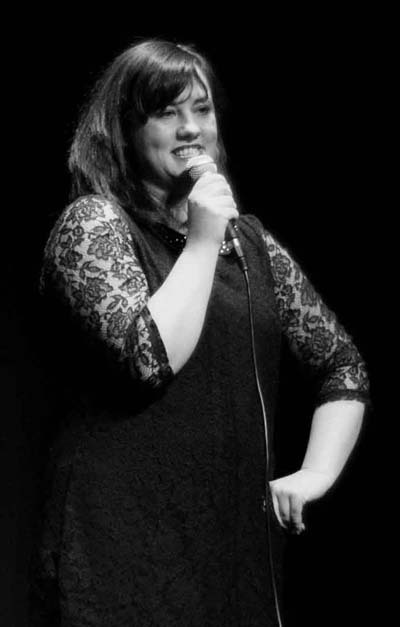 She has been a semi finalist at the Welsh Unsigned Stand up Award in 2010 , 2012 and 2013.
paid middle for The Wyeside Arts Centre, Builth Wells 2013.